Dr. Nathan Muaina always appreciates feedback from his valued patients. To date, we’re thrilled to have collected 31 reviews with an average rating of 4.9 out of 5 stars. Please read what others are saying about Dr. Nathan Muaina below, and as always, we would love to collect your feedback. Fantastic experience! Dr. Muslims and all his personnel are positive, friendly, experienced, professional and very good at what they do! Always a pleasant experience! The staff that I have come in contact with are excellent at their job, and so friendly. A great experience every time. The staff and Dr Muania are friendly and professional. My experience was wonderful. Patty is the best. Never gives up. With working with you and Invisalign or teeth whitening. Dr Muaina is extremely knowledgeable, dedicated to making sure he gets 100% satisfaction for his clients and is outstandingly accommodating when things aren’t quite right and discomfort is experienced. I appreciate his patience and his expertise in his services. Dr Muaina goes over and beyond in taking care of his clients and he is a great asset to his profession. I highly recommend him to young and older individuals. I wasn't sure if Dr. Muaina would be able to resolve the problem since other dentists failed when they tried and so I prayed he would know what to do. I was relieved when he immediately seemed to know what to do and did not attempt to send me away or brush me off as other dentists have done. I am on my way to getting the problem fixed thanks to his patience and skills. Dr. Muaina is an answer to prayer. Looking forward to my next appointment! Great Dr. and staff. I’m a pansy when it comes to dental work, and I have horrible teeth. 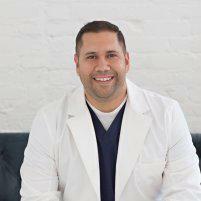 Dr. Muiana and his staff have given me an incredible experience and white teeth for a wonderful smile. Best dentist ever!!! I was able to see Dr Muaina the same day that I called with a toothache. His assistant was attentive & helpful. It is an efficiently-run office as well. Highly recommend. I love Patty at the office as she never gives up. I love Melinda at the front desk, very helpful. I love all of the staff.